On September 14th, reviewers will talk about Turing architecture in greater detail. They will also be allowed publish photos of their samples and release unboxing videos. Two embargoed documents were prepared by NVIDIA for tech-journalists: Turing architecture overview and more GeForce RTX oriented slide deck, which I’m partially sharing in this post (the first PDF was mentioned here). 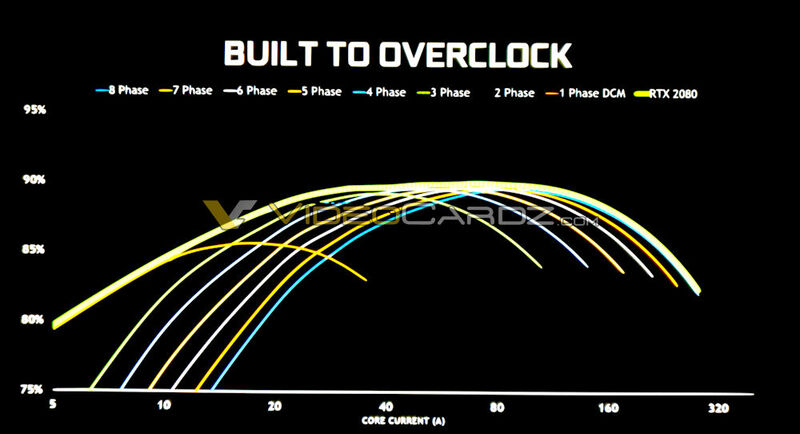 The slides I found particularly interesting are about overclocking. NVIDIA GeForce RTX series have better power delivery. 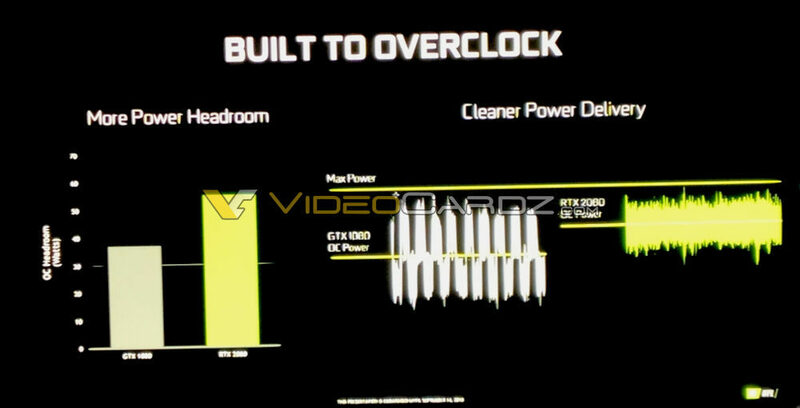 A higher quality VRMs have provided more headroom for overclocking. Apparently, this allowed NVIDIA to increase the TDP limit, which should now be around 55W (~20W more than GTX 1080). 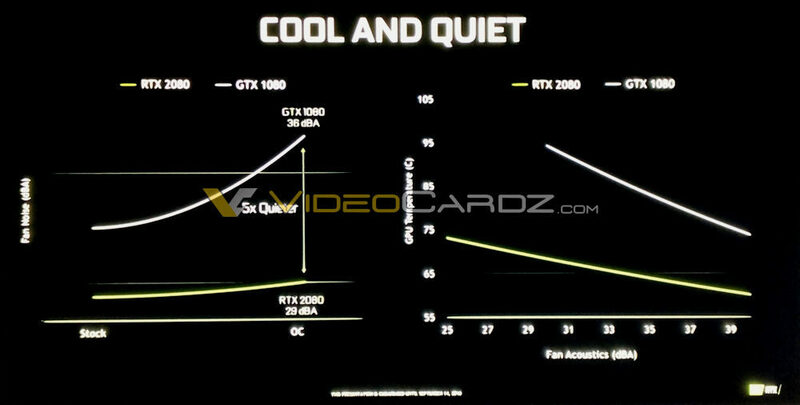 Lastly, the third slide focuses on acoustics and heat dissipation of the new dual-fan RTX Founders Edition. NVIDIA claims their new design will be 5x quieter and 20-15C cooler than predecessor.